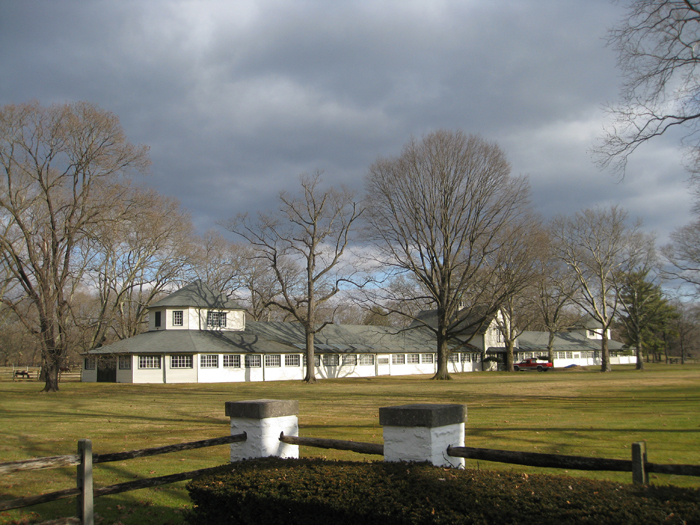 One of the last intact agricultural parcels in Whitemarsh and Springfield Townships (Montgomery County), Pennsylvania, Erdenheim Farm was at the center of the horse racing world from the 1860s until the late 20th century. With parcels owned at various times by such noteworthy Philadelphia figures as Atherton Blight, Dr. James A. McCrea, William A. Coulston, the Lukens family, John Faber Miller, Aristides Welch, Norman W. Kittson, Robert N. Carson, George D. Widener, Jr., and Fitz Eugene Dixon, Erdenheim has accumulated a rich and fascinating historical pedigree. The property also has a number of myths attached to it, including the longstanding rumor that Sirhan Sirhan, the assassin of Robert Kennedy, worked at the farm shortly before the assassination, and the old saw that Lafayette once slept there. In his history of Erdenheim, Eric Plaag separates the facts from the multitude of fictions, revealing the complex and intriguing history behind this important agricultural center straddling the gorgeous and popular Wissahickon Creek. This history, which includes original photography by Eric Plaag, was privately published by the University of South Carolina in 2012 and is available for review at numerous archives and research libraries throughout the United States, including the Keeneland Library, the Historical Society of Pennsylvania, and the Free Library of Philadelphia. In July 2010, the National Park Service’s American Battlefield Protection Program (ABPP) announced that the South Carolina Research Foundation had been awarded a substantial grant to research, identify, locate, and provide baseline data on the current status of multiple battlefields, skirmish sites, camps, and citizen resources associated with Sherman’s March across South Carolina between January and March 1865. As a result of this work, more than 360 sites associated with the various routes of Sherman’s participating corps were mapped, documented, and contextualized. In addition to this important research and mapping work in the field, Eric authored the historic context narrative for this project, which was completed in Fall 2013. 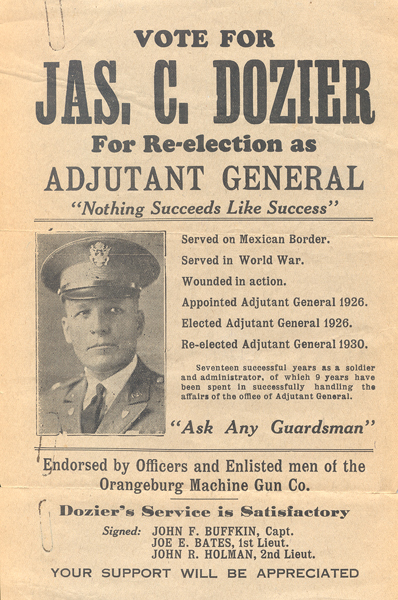 For more than a decade, various historians and writers have been at work on a comprehensive history of the South Carolina National Guard (SCARNG). As part of a mitigation measure related to several SCARNG armory facilities located throughout South Carolina, the South Carolina State Historic Preservation Office, SCARNG, and the South Carolina Institute of Archaeology and Anthropology (SCIAA) have agreed to revise the existing, unfinished SCARNG history and add several chapters to bring this history forward through Operations Desert Shield and Desert Storm. Eric was hired by SCIAA to complete both the revision of the existing chapters and authorship of the additional chapters. The project was completed in Fall 2013 and is presently under publisher consideration. Under a grant through the South Carolina Institute of Archaeology and Anthropology at the University of South Carolina in 2009, Eric served as the project historian and completed a settlement history of the land now occupied by the US Army and National Guard installation at Fort Jackson, located just to the east of Columbia, South Carolina. Originally established in 1917 as a World War I cantonment called Camp Jackson, the military installation sits on land that was once occupied by various rural farming communities, schools, churches, and plantations, including lands previously owned by the Wade Hampton family. The purpose of the settlement history project was to document the use of this land and its immediate surrounding area prior to the various transfers of these parcels to the federal government. Eric worked with the Organization of American Historians and the National Park Service to write the administrative history of Fort Frederica National Monument, a National Park Service unit on Saint Simons Island, Georgia, that is dedicated to the archaeological and historical interpretation of the settlements at Fort Frederica as well as two key 1742 battles between British and Spanish colonial forces. 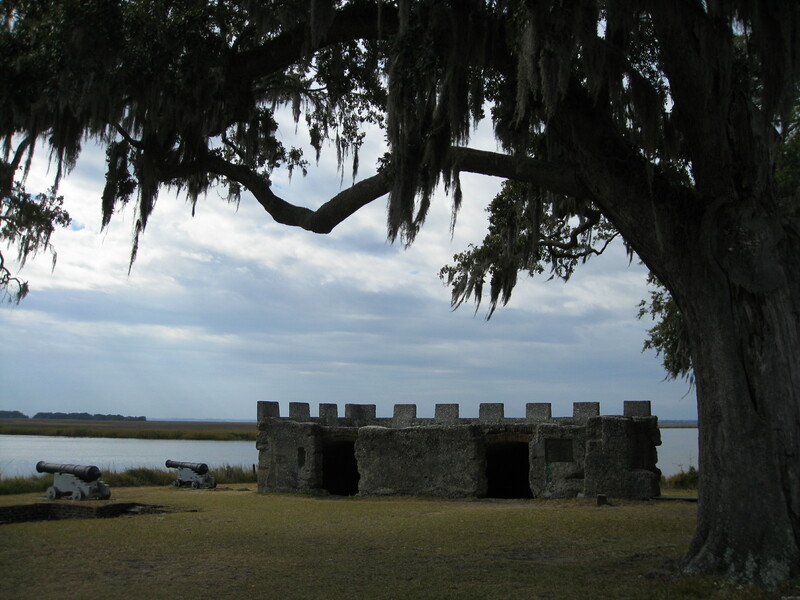 Located squarely within the “debatable lands” of colonial Georgia, Fort Frederica was both a military installation and a thriving colonial town. 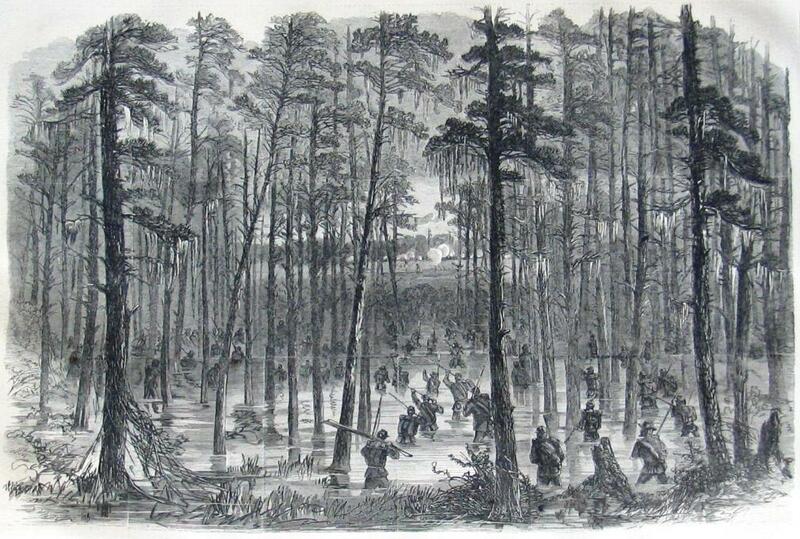 The Battle of Bloody Marsh, fought a few miles south of the fort, marked the final attempt by the Spanish to drive the British out of Georgia. British victory at Bloody Marsh secured the crown’s control of the Georgia coast once and for all. 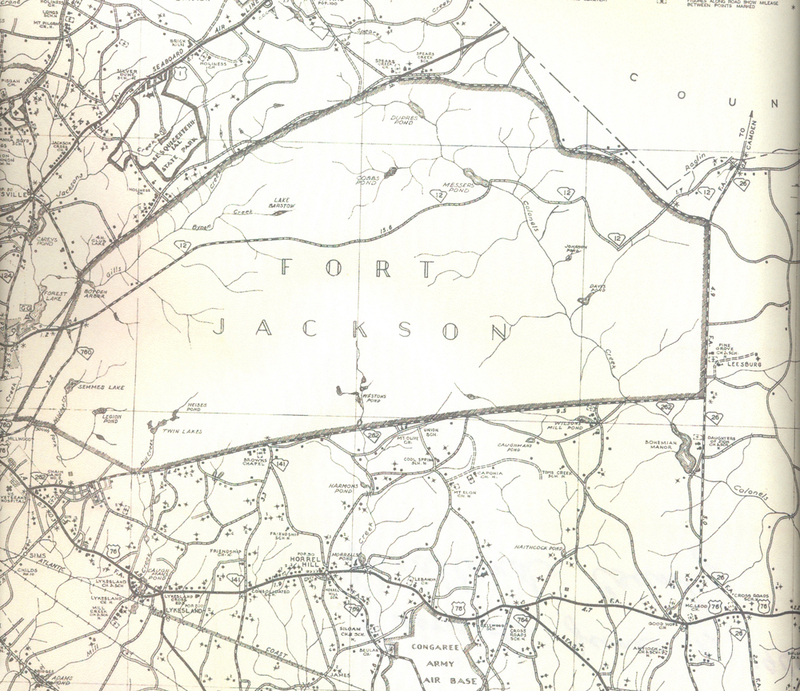 The administrative history project was designed to document community efforts to preserve the history at Fort Frederica, leading eventually to the establishment of the National Monument in 1945, as well as the National Park Service’s efforts to interpret, preserve, and educate the public about the extensive historical and archaeological resources at Fort Frederica.